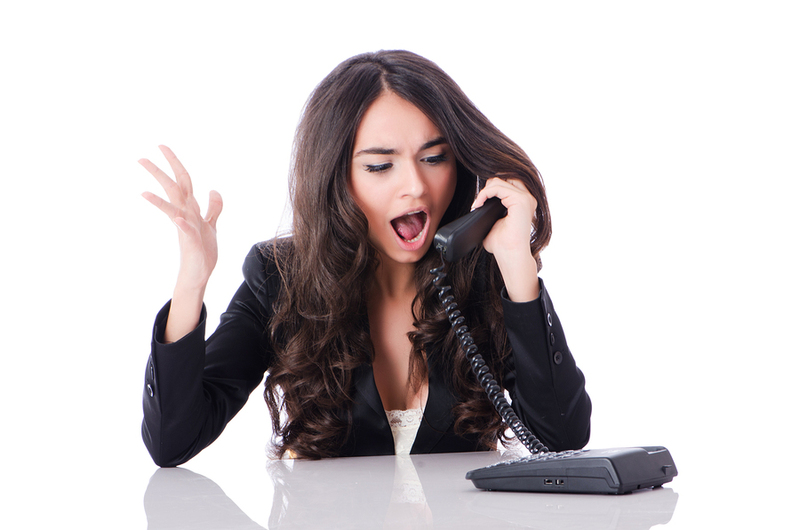 Sales is a noisy and confusing environment. Success can be elusive if you take your eyes off the ball - and there's so many to chase. Objection handling is a critical skill. In previous posts, we talked about the threat of multitasking your time away, discussed the importance of applying the 80/20 rule to intensify your focus, and even covered how to make change stick when you decide to implement a new behavior. Now that you're focused, intentional, and empowered, let's talk about one of the methods we use to build strategic advantage. In this article, we get down to the essence of sales objections: where they come from and how to attack them. Objection handling requires you to address three distinct areas- in a specific order- when securing client acceptance. There's nothing magical about these, but when you're unaware of them your sales pursuits will slow down, run out of gas, or stall indefinitely. More than anything else, as sales professionals we are trying to get clients to accept our solutions on these levels. (These were the risk factors from Customer Trust in the Sales Process.) This framework will guide your efforts under a wide range of conditions. People buy on emotion and rationalize with logic to withstand political scrutiny. Methodically addressing these levels of acceptance overcomes sales objections and builds your sales momentum like a steamroller (and those are hard to stop). First, you've got to get clients excited about your solution. This is about grabbing their attention and building their interest. When selling product development software, I told stories to help the client understand the impact that enterprise software could have. Stories are great attention-getters (when they're actually relevant, of course). While working in Australia I visited a restored 1880's Australian gold mining town that had been turned into a museum. It was fascinating. The docents explained that miners dug for gold in one of three ways: they panned in streams individually, worked in teams of 4-6 to carve out deep wells, or formed mining companies of 30+ people to construct tunnels. I couldn't help noticing that the more people collaborated AND the more they relied on technology- panning vs. digging vs. mining- the higher the returns they made. Mining companies, the most technologically advanced, literally made tons of money. In your product development operations you've made a significant investment in tangible assets (equipment), intangible assets (processes and intellectual property), and human assets (your people). To reap the greatest return on these huge investments, you must synchronize the work products of these assets across several diverse functional groups. Without advanced collaboration technology these assets are just working alone- panning for gold, isolated in shallow streams of knowledge- while the competition is constructing a mine and digging gold out from underneath you. Although you might find it uncomfortable to take this tact (I certainly did at first), you've got to get people's attention before they'll even bother to take interest in your solution, let alone make a decision about buying it. Tell a story, connect over some common experience, or discuss how current events & trends are impacting their business (and what you can do to help). Paint a vision that gets them excited, requires their involvement, and matters to their business to overcome sales objections. Do I understand how the proposed solution will generate value? Are the problems it proposes to solve important to our business? Is this solution the best answer to these problems? Put your the pre-sales technical and business consulting resources to good use answering these questions. If you can bring in proprietary methods for value definition that your competitors can't match, so much the better. Read the Provable Value articles for ideas. Third, once you've got your champions heading the right way, you've got to help them jump their internal hurdles. This is about the client deciding that your solution is the right one. Will this solution help me succeed? Can I get the relevant stakeholders to agree? What competing agendas exist? Is this the right vendor to do business with? You'll want to bring in the big guns now: client visits, reference accounts, case studies, and success stories. The fewer of these you have at your disposal, the more likely that you'll be forced to discount your price in order overcome sales objections and reduce the client's risk on the solution (and your untried company). Realize that every new person brought into the decision process will also go through all three levels of acceptance, so the clearer your value proposition, the easier your champions can sell internally for you, and the less objection handling you'll have to do. Hit all three levels of client acceptance with everyone you meet and your products will fly off the virtual shelves. Have you ever run into sales objections from one of the "three doubts" in your accounts? Where did your techniques break down? What would you accomplish if you resolved the client's doubts?